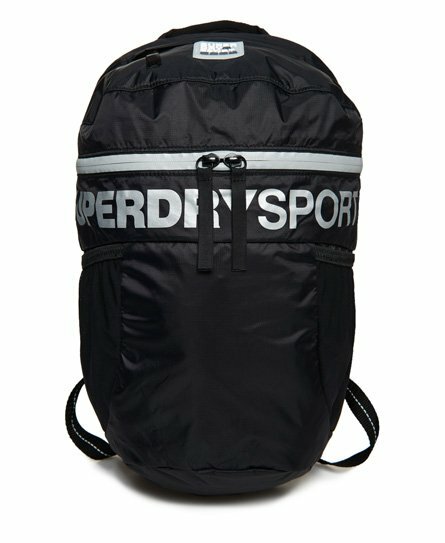 Superdry men’s Super runner backpack. On the go? Grab the super runner backpack to take along for the ride. A lightweight backpack that offers breathability, adjustable straps and reflective elements to enhance visibility. 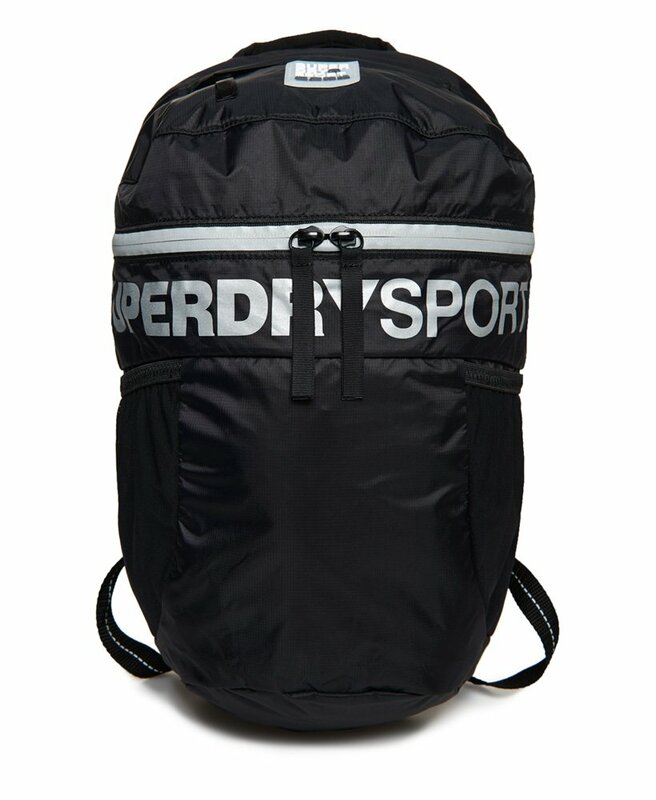 This running backpack offers a large compartment with two inner pockets, two external mesh pockets, a fleece lined zip pocket and an elasticated strap that adjusts on the chest to keep the bag secure. To finish, this backpack has been decorated with a reflective Superdry Sport logo and Superdry Sport badge across the front.